Oh yeah it's my two son's linux computers that are having the problems. I made a MultiMC2 folder in the Home folder and extracted in that folder. I installed that deb package and it's up and running. Thank you so much for your help! Well, good to know that it's working now. my version groupings. Love this, been using it for about a year now! I love MultiMC-- since I got it, I could run all the different mod groupings without having to move files all the time or have separate clients for everything. EDIT: Originally I asked here about M3L support, but I didn't realize it was being worked on. Sorry. @Forkk13 I have it now, and the only request is a configurable way to group the instances. I liked the old way of sticking them in a grid, so is there a way to re-implement this? Check just another MultiMC fork. Now with multiple local usernames. No more need in internet connection if joining lan server. keep MultiMC open source because we think it's important to be able to see the source code for a project like this, and we do so using the Apache license.Part of the reason for using the Apache license is we don't want people using the "MultiMC" name when redistributing the project. This means people must take the time to go through the source code and remove all references to "MultiMC", including but not limited to the project icon and the title of windows, (no MultiMC-fork in the title).Apache covers reasonable use for the name - a mention of the project's origins in the About dialog and the license is acceptable. However, it should be abundantly clear that the project is a fork without implying that you have our blessing. It is also important to know that we will not provide ANY support for forks. Is it still violation if i make it require _at least one_ valid account? Also it`s kinda weird that you require to remove original name and so on. I am used to licenses that sum up to "do whatever but dont remove original copyright"
So I'm *not* the only one that wants multiple logins at once. I'm not a lawyer so I don't know exactly. From what I can tell this would also be quite useless. For local servers you can use offline players, and for properly setup multiplayer servers this won't work anyway (because you're not giving it valid tokens). The reason for the rule about the name is, as I said, forks like this (that is; forks of where it's questionable if we want to have our names on them). This is actually pretty tame, there have been some worse. Honestly, the game is what? $25? I by now have several accounts I use for various testing. This is also the reason we've not added some requested features related to this. What i want is offline mode with configurable username. Servers recognize players by username, so i can`t login with 2-3-4 "Player" at the same time. Also I can't login with other`s player name if using vanila "offline" mode. Probably it could be used for some form of cheating but only on poorly configured servers. Proper servers run their own authorization service and do not give a s*t about cracked clients or mojang subscription. Anyway, I`ll probably implement some kind of check to forbid creating offline accounts when no mojang one is present the list. I cannot afford another $25 for testing. Heck, in one recording we needed 4 "NPC"'s with different names, so that was 4 dummy accounts -- I would not spent $100 just for that. (That was back in 147 when the vanilla launcher could do this). And as already mentioned, if a server OP needs to pretend to be a user to troubleshoot a problem, then yes you need to pretend to be someone else. A server running in offline mode, with a special port number, and the "whitelist" being "give machine name and port number to selected people" does work, and complies with Mojang's rules as I understand them. noob question, i have been playing for months, have 40 mods. now that i have downloaded your fine product, how do i transfer my existing saves and downloaded mods to the proper new folders? I am running on a Mac if that matters. 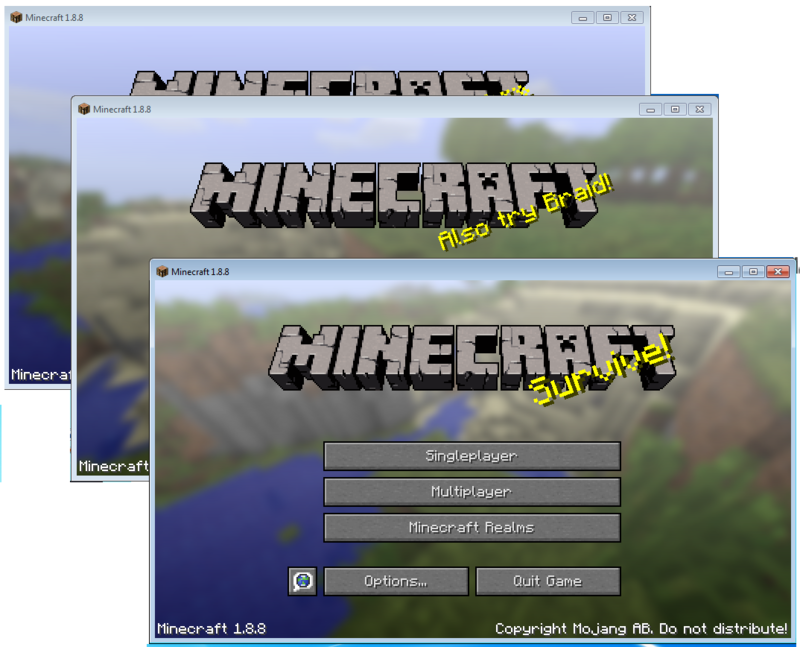 Start by creating a new instance in MultiMC with the appropriate version of Minecraft. Then select it, click "Edit Instance" in the toolbar to the right, then "Install Forge", and select the same version of Forge as you used with the vanilla launcher (you can see the version on the main title screen when the game is launched). Next, click "Instance Folder", then open the folder named "minecraft". Here you'll see folders like "config", "saves", "mods" etc. (you can create them if they don't already exist. Copy the contents of the corresponding folders in your vanilla launcher to these folders. Finally launch the game and verify it works. Thanks, i wasn't sure if it did it automatically and i was missing something obvious. Follow up question, how much of the vanilla launcher do i need to keep for MultiMC to work? Once I transfer my old saves do i need the vanilla launcher or the minecraft folders it generated? is it possible to port in technic pack modpacks into multimc? Pretty sure the video on page one shows a technic instance as an example. Old video, but I doubt it has changed. There is (at the present time) no automatic importing of vanilla instances. Once the instance works in MultiMC you do not need to keep any part of the vanilla launcher around, just makes sure you don't accidentally delete something you don't want. Not currently. Initial work was started but put on ice because of necessary restructurings in our code base. These are still ongoing and it'll probably be a while before we'll see actual technic support. That is only from a prototype and not included in any available binary release. Can you publish MultiMC on Steam (Greenlight)? 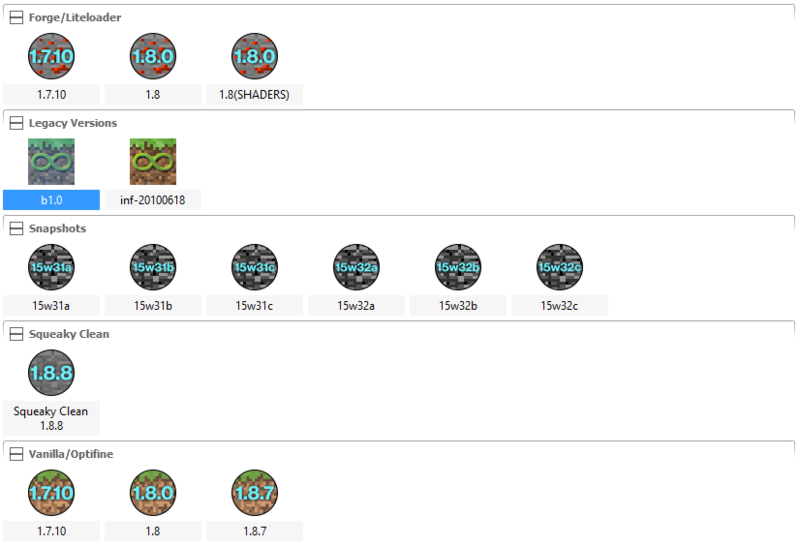 Is the QuickMods capability in the current version? I'm interested in using it for a modpack.